I didn't look for a famous quote on volunteerism as inspiration to write this letter to you today; I wrote this with you as my inspiration. The countless hours you've spent volunteering, the tremendous amount of hand-holding you've done, and your dedication to our multiple missions are my inspiration. Our mission is supporting Marines and parents in every stage of the Marine Corps; that's not just a statement, that's a solid fact. From boot camp, to deployment, to recovering from combat, to life after the Corps, we're there at every stage. For every hour that you volunteer, there are another 225 volunteers across the United States doing the same; across all stages of our Marines' careers in the Corps. Volunteers are the heart and soul of America. That alone is an awe-inspiring statement. 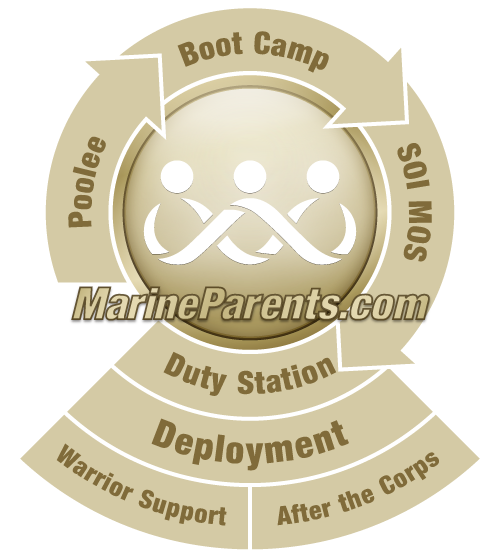 At Marine Parents, you are also the backbone of the organization. Nothing we do would be possible without your dedication to selflessly serve the social networking members, the Marines and military personnel who rely on our services each week on the East and West coast, and those who read the vast amount of detailed and important information we share on our educational websites. The Marine Corps is the smallest branch of the service, yet we're tight-knit; we're a family. Just like the Marines, once a Marine Parent, always a Marine Parent. 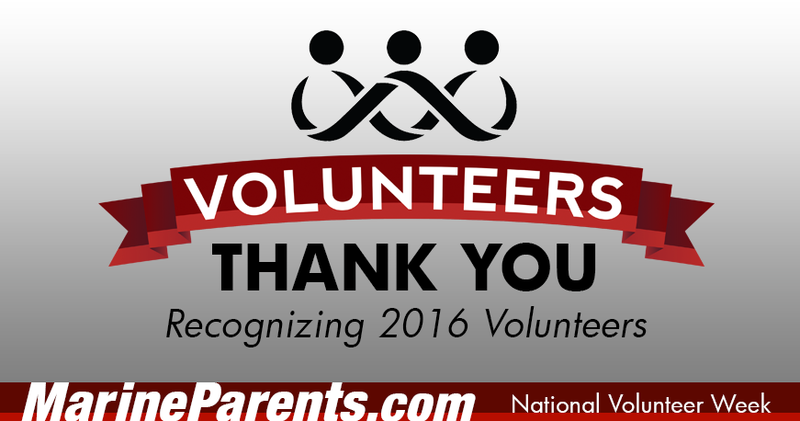 Your commitment as a volunteer with the organization is the same; once a Marine Parents' Volunteer, always a Marine Parents' Volunteer. You can carry that title with you, with tremendous pride, for the rest of your life. This letter doesn't come from me, it comes from the thousands of Marine family members you have supported and cared for both during the journey in the Corps and afterward. If every person you've helped could sign this letter, we would need pages and pages for signatures. I hope you see the thousands of signatures in my signature below. Thank you, from the bottom of OUR hearts, for all you do.